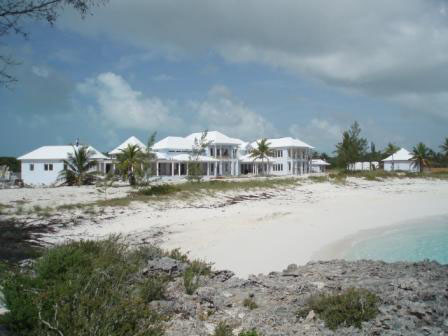 Little Exuma, Exuma, Bahamas - Private Residence with approximately 16,000 sq. ft. of roof area. 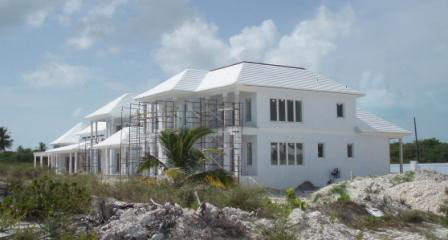 A traditional Bermuda Roof Installation - The Bermuda Roof has always been built over an open-batten structure and material used has always been limestone cute into 18"x12"x1" slate. The slate is bedded in mortar and each row of slate overlaps the previous row by half (9"), therefore all the way up the roof there is approximately 3" of roof material. We have done work all over!